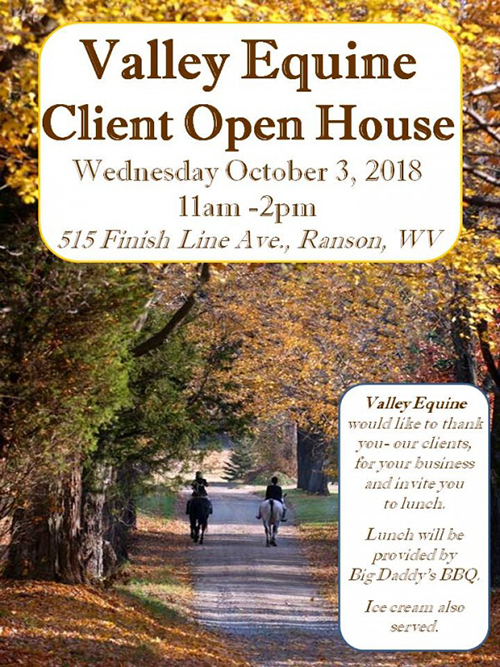 For 50 years, Valley Equine Associates has been servicing large animal owners in and around Jefferson County and beyond, providing quality veterinary medical care and exceptional client service. We offer a full range of comprehensive veterinary health care services, from routine wellness checks to advanced diagnostics to surgery to ambulatory care and just about everything in between. "I’ve been a client for 17 years and have used their services from shots to foaling to surgery and always been treated with care and respect. Dr. Meagher is a wonderful surgeon and Dr. Berkeley, Dr. Daniels, and Dr. Ainsworth all provide exceptional service." "Amazing! Called and within one hour they were at our door! (Even though we are out of their area) can’t recommend them enough! Thank you, guys!" "I have been a client of this practice for over 25 years. They have always been professional, timely, and listened to my concerns. I think what impresses me most is the resolve. They stay with it, take what you have to offer seriously and have never let me down. Their entire team is wonderful including the office staff that bridges us all. I can't say enough positive things about this practice. You are the best. Dr. Berkeley........Thank you for your continued commitment to our horse's health and happiness."